Janet Louise McCollum Starr, 92, of Viroqua, passed away peacefully on February 5, 2019, at the Bland-Bekkedal Center for Hospice Care in Viroqua. Janet was born on June 17, 1926 to Everett and Helen (Huffman) McCollum in Richland Center, Wisconsin. She grew up in Richland Center and graduated from Richland Center High School in 1944. She met her husband, Robert Starr, in high school and they were married in 1947. They celebrated 70 years of marriage in 2017 before Bob preceded her in death in March of 2018. Janet and Bob both attended the University of Wisconsin in Madison, graduating in 1948. Janet received her degree in Related Art and then embarked on her life-long career as spouse, mother, grandmother, and small-town doctor’s wife. Being a doctor’s wife in rural America in the mid-twentieth century meant being a part-time receptionist, scheduler, counselor, bookkeeper, and secretary along with the full-time job of wife, mother, and homemaker. Janet’s meticulous nature and attention to detail made her perfect for the job of getting everyone in the family to everywhere they needed to be, when they needed to be there. While Bob delivered over 3,000 babies, Janet made sure that each one of them was remembered at their high school graduation. They were truly a team in caring for their neighbors in Viroqua. Janet made her house a home. Her children and her grandchildren (and their friends) were welcomed and cared for and comfortable. There was always a brownie or a cookie and a glass of milk for those after-school visits to the Starr’s house. She washed tons of athletic gear, ironed thousands of shirts, and made a million peanut butter sandwiches for hundreds of sack lunches. And, every evening, she took a few minutes to lay down with each child at bedtime to listen to their cares and their concerns, and to go over the events of the day. Janet’s faith was simple - she just believed. She believed in God and heaven and doing good deeds and looking after her friends and family. 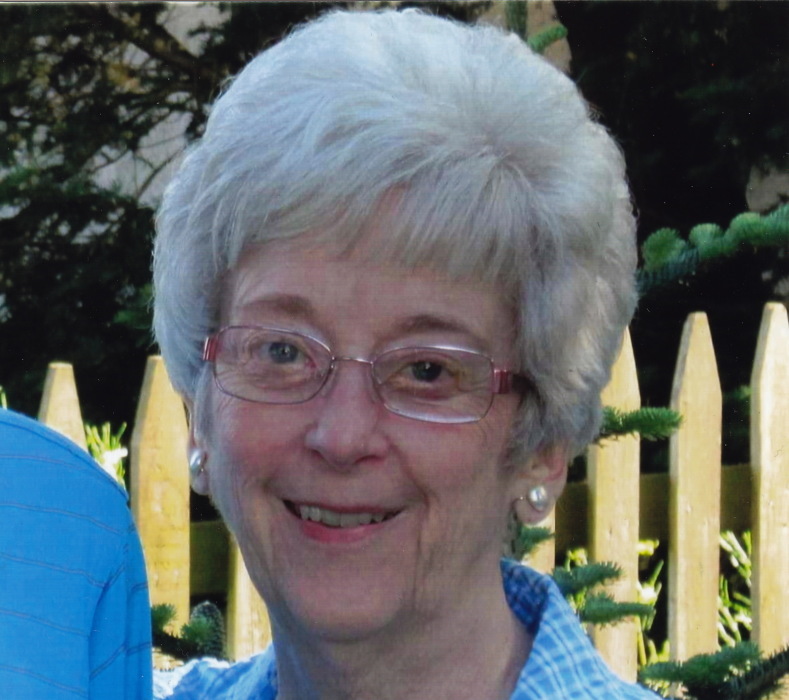 She was a member of the Viroqua United Methodist Church and active in its women’s groups. She served as the Corresponding Secretary for the Vernon County Historical Society, chaired Viroqua fundraisers for the American Cancer Society and UNICEF, and served on the Board of Directors of Schmitt Woodland Hills in Richland Center. Her favorite cause of all was the gift shop at Vernon Memorial Healthcare where she spent years working and organizing the volunteers. She was the family “prayer warrior” and was often called upon to “face the East” (as she would say) before a big exam or airline flight. But, it was the little things she did with love that made her special - the perfect card for every occasion, the note to a college student with a few dollars enclosed, or the little gifts she bought for her friends. She recorded the lives of the whole Starr family in beautiful photo albums and scrapbooks. Those are the things that are to be remembered and cherished by those that she has left behind. Janet is survived by her children, Shelley (Tom) Dobbe of Viroqua, Craig (Kay) Starr of Viroqua, and Mark (Susie) Starr of Prairie du Sac; her grandchildren, Troy Dobbe and Jennifer Dobbe (Austin) Heath, Corey (Katie) Starr, Scott (Holly) Starr, Ashley (Nick) Veglahn, Charles Starr and Connor Starr; and her great- grandchildren, Landen and Blake Starr and Riley Veglahn. Janet was preceded in death by her husband of 70 years, Bob, her parents, and her brother, Dr. James McCollum of Richland Center. The family would like to thank the staffs at Vernon Memorial Healthcare, Creamery Creek Assisted Living, and the Bland-Bekkedal Center for Hospice Care for their kind and loving care and attention to Janet and her family. They would especially like to thank Dr. Deborah Prior for her dedicated and compassionate care over many years.